I'm working on board 8 as we speak. I've mostly been having my units travel in pairs, one good, one evil, but it looks like I'll have to guard some of the areas with more than one pair, as they keep knocking all the units out and I have to scramble to order them to get back to the town before it's recaptured. The worst part is that you can see that the enemy units aren't arranged in a way that's advantageous (fighters in the back, or 4 ghosts and a mage) but I find my units losing due to missing their attacks more than anything. Despite the boss of board 8 being a dark aligned group, I'd recommend taking him on with a group that has at least 2 undeads out front, and magic users in the back. If you want to train your light-aligned groups against him, make sure the front units can withstand being ganged-up on, and set them to attack the "leader", retreating when one of the henchmen guarding him falls. 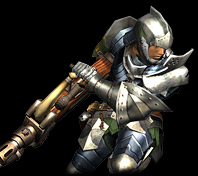 Kinda makes me wish the phalanx unit existed in this game. Edit: New Strategy. Use a team of 2 undead in front as a ghost-shield, and 3 spellcasters in the back, set to "Strong", to harass the boss and keep his healing at a minimum while your light teams alternate charging in and going back to town to rest. Remember to "retreat" before actually killing anything with a dark team. That way, you avoid raising your dark-team's alignment by killing dark enemies. Double Edit: DONE BOARD 8! It seems like ghost-teams are an essential way of alleviating pressure on you when your levels are low, and applying pressure on a turtling enemy! Since they're low aligned, feel free to overpower them and send them against anything that isn't a cleric or angel! I was having much the same issues on 8. My guys missed a million times and I lost too many battles and kept giving up towns. I restarted several times and finally got the level under control. I hope to finish it tonight. I'll try to remember your boss tips, too. This game seems very, very generous with the missed attacks. It's frustrating. Anyway, I haven't even started week 3 yet. This has just been a crazy week for me. And I doubt I will get time tonight, so... saturday maybe? I agree that it can be frustrating with how often attacks miss. At least the enemy seems to miss an equal amount of attacks themselves. What are you doing with your Ghosts? I used to have them in the Front Row because they didn't take damage, but they do HORRIBLE damage with their Physical attack, and they only go once. I've been lighting guys up with TWO Back Row Nightmares from them. Did you pick up any Skeletons? The guys that are missing their attacks; what levels are they? Some of my groups are FAR under-leveled, and I have the same problems. As I stated earlier, you can delete some of your weaker guys and replace them with stronger guys via recruitment. If you don't want to look it up, just see which guys you're able to recruit next time you're in a town w/ someone. Your Lord can Recruit Fighters and Amazons only, and they'll (I think) be 2 Levels lower than he is. You can build appropriately from there. Levels? Terrain? Time of day? Hitting Octopi and Mermaids in the water is sometimes tough. @gojira DO THEY? Maybe. I think they tend to get in more hits than me, which is annoying, because they can then "win" battles that they're not really winning. What are you doing with your Ghosts? I have one unit that's a ghost and two demons in back, and two skeletons up front. I have another unit that's two ghosts up front and three mages in back. I suppose I could replace the frontline ghosts with skells, but they do their job of negating attacks adequately. The guys that are missing their attacks; what levels are they? Some of my groups are FAR under-leveled, and I have the same problems. Most of my army is under-levelled, so it's a challenge keeping my evil guys evil. I'm thinking I'll have to do a massive delete/recruit at some point soon, and abandon some of the groups that are lagging too far behind. Drawing some Reshy calmed me down. I'm ready to re-assume my role as wyrm king. If you're talking about the Boss, they will ALWAYS be declared "Winner!" unless you kill their Boss. The same courtesy is NOT paid to you at your base. Ooh, and old favorite of mine. Those Demons are awesome. Love 'em. Delete/Recruit: Every few stages I take a look at my whole army. Who is working, who isn't? I usually have some groups that I love, but other groups that I find myself just going "Oh, COME ON" when they miss or do nil damage. Perhaps those guys are better suited as something else? I had a Wizard who was ALI 75. GROSS. He is now a Knight, and soon to be something even greater. But yeah, I think I've purged my army of anyone under Lv5, with the general exception of a Griffin I "rent" to return to stages and cruise around on for 250 Goth a day. You are definitely the King of the Wyrms. Some might even say "Kyng." @Mr_Mustache No I'm just talking about regular fights. What I mean is that there might be a fight that I'd definitely win longterm, but because of a few misses, I "lose" it that time... lose my position, etc. And I know the same attention is not paid at my base, which is ANNOYING, because I actually lost a map (luckily early on) because I only had like two guys guarding it and everyone else was far away, and they both "lost" just due to a few missed attacks and the enemy got up on my base, and somehow that means I LOSE EVERYTHING!? At least in my experience it seems pretty even. I don't often 'lose' battles because I tend to retreat before one of my guys dies. Okay, I finished chapter 8. I didn't have that many enemies left to finish off, so it wasn't too bad. The boss did some serious damage, but I got through him okay. My simple strategy consisted of surrounding him with about 6 of my units and sending them all in at once. Rather blunt, but it worked. By my last unit, at least. Sadly, I'll be out of town for a couple of days (taking the wife to Vegas), so I'll be making no progress this weekend. I do have all of tuesday to play, so I plan on catching up a bit then. Sorry for falling off the pace a bit Mr_Mustache. Know I am still 100% committed to this game. I am very much enjoying my time with it! Dont with the week. Watched Help! and listened to Red Letter Media's Star Wars Commentary while watching it. Pretty rad. In events like that, where it looks dire, immediately just go for the Leader. Whip the Tarot cards out, whatever. If you haven't Deployed everyone, Deploy another unit immediately. Anyway, take the leader down, and the retreating unit can do NOTHING against you. They go straight back to base, and bypass any of your towns without interference. I do that sometimes, too, when it appears to be a definite thing. Note that your CHA will drop though, per Retreat. Have fun in Vegas! Be safe and keep your wits about you! Ogre Battle will be waiting for you upon your return. Next week will be our longest (or your shortest?) depending on whether or not you have Brunhild (yet?). I do, the Mrs_ has hers, lemme know, bros.
quick question: What's the deal with beastmen? I keep seeing them grouped up with beasts, dragons, giants, &c., but I remember reading a lot of text saying NOT to put beastmen in the same groups as these, as the presence of a whip in battle causes them to perform badly (IOW send beastmen to fight against these types). What to do, what to do...? I don't know WHO wrote that (I've seen it, too), but it is patently wrong. Beast Men will ENHANCE your beasts (and I believe do extra damage to others as well). Some guy wrote "animals hate whips, sooo.." No. No. Beast Man + 2 Hellhounds is a staple unit, Dragoner (from Beast Man > Beast Master > Stone of DRAGOS) + 2 Dragons, too. Serious business there. You've been led astray by some misinformed. I'm sorry. Week 4 will be up late later tonight/tomorrow. I guess there's no rush currently. Best of luck catching up, men. Legit. -You're probably filling up now. Your army can only contain 100 characters. If you try to recruit someone, and there is no room for their ENTIRE UNIT, you don't get them. Beware! -You're no doubt approaching the 3rd Tier or Master classes for a lot of characters. You'll generally need 60+ CHA, and an ALI close to the appropriate magnetic pole. Good luck out there.. Tips for Scene 11: Valley of Kastro: Bring your Mountain and Sky units. Mountain moves through Sand pretty good. Nice! You can recruit Rauny here, bring your Lord to the Temple SW of Geral Abad (High Rep mandatory, and you need room for her and her friends). Have her fight Ares at the end of the stage. Also our first Chaos Gate is findable here; with the Opinion Leader WITH Brunhild equipped, move to SE-most mountain clump where the three come together. Just like finding buried treasure..but not! Treasure is on the sand island, and the only other little sand patch that is alone on this stage. For you Low Rep folks, there is a Sentoul Demon to find on this stage, too. Remember to bring 'em back to that wizard dude in the Diaspola stage! Tips for Scene Alpha: Muspelm: Hey, secret stage. If you don't have Brunhild and didn't find the Chaos Gate, you won't even be here, or even know it exists outside of stories. You..might notice that this stage..is in the sky! That means that anyone who can't fly CAN'T get everywhere, and also..if you get in a fight near the edge, and you lose.... Yeah. Be careful! Anyway, nothing super-special here but you CAN recruit the leader of this stage. You'll need a very High Reputation though, an dyour Opinion Leader's ALI has to be over 70! (And you need room for him..remember to erase guys you no longer need!) If you don't get him, you can come back afterwards for his sword. Hidden Temple is SE of Fidelin, treasure is on the floating islands. Obviously, you'll need a Sky unit to get there. Two are on the west island, and there is another Chaos Gate on the lower East island! Just give your Lord someone to fly him over there; it'll be niiiice. After you win, return to Segejin to get a LEXICON! Remember that guy back in Sharom Border who wanted on? Return there with it and swap it for an UNDEAD Ring! Head over to Chifla here after the stage and you get your first CROWN if you don't already have one; simply answer their questions, and bingo (high rep, but you probably guessed that). Tips for Scene Beta: Organa; Hidden stuff on the outskirt islands here, everything but the smallest one up top, and the one that looks like a seahorse. Additionaly, another Temple and Treasure are each on the SE quadrant of the main land. You'll find 'em! And if you managed to get here some other way, there is a Chaos Gate for Muspelm NW of Baldella. Nothing wild to look out for here; Fenril can join you at the end if you meet the same requirements you did for Slust the Red. High Rep, ALI 70+. Afterwards, return to Ohiba to get a BOX which you can apparently just sell. If you still have yoru MOONROSE, you can sell it in Mogand for 100K! There is some more stuff to do after we get the TABLET, but I guess we'll talk about that later. But you can get CAKE here to bring back to Posha in Diaspola. Work it. Tips for Scene12: City of Malano; through the walkthrough I'm following here, doing this stage first will allow you to get somewhere else so you can have a monster confrontation with someone else. Don't worry, it'll all work out.. ALRIGHT, on to it; huge map here, lots to do. This is a later stage though that we're kinda doing sooner, so it kind makes sense, eh? Hidden stuff..everywhere. Treasure is south of the eastern mountain range, hidden city of Sharmony is north of that same range (come here for TERMITES), treasure is across the river (and across the mountains) to the east of that city. Three treasures hidden in the northcentral mountain clump, hidden city of Sanbelnar (WAIT ON THIS PLACE until later, after you've gotten ALL of the Temples; an item will be given to you, but CONFISCATED if you go to any Temples -- oh no!) is NW of the lower east mountains, and five more treasures to the south. Two are on the mass with the mountains at the bottom, one is on the second smallest island due east from the boss place, one south of Mon Bizoh, and another -- in the water -- south of Mons Nirra. Phew! In Mon Bizoh, a Monk will ask you to get revenge, say YES and you'll get an Item. Say NO, and everyone in that unit will be instantly killed, AND you'll lose Reputation. What the heck! Someone other than your Lord will have to go here though. Later one when the walls are down, bring your Opinion Leader to Bel Chelry; remember getting that KEY long ago in the Slums of Zenobia? Cash it in here, baby! Tristran is here (!! ), and if you have that High Rep, and room for FIVE in your army, he'll join up! (Check out what he can Recruit when you get a crack)When you're ready, both Tristran AND Rauny (wow!) have something to say to this boss. Not a popular guy! When you come back, there is another LEXICON in Malano (you know what to do), and another item in Mon Bizoh. Say YES to get it, say NO to lose about 1/6 of your Rep. Yikes! More TABLET stuff to do here later, too, yadda yadda.. Tips for Scene13: Shangrila; Back in the High Life Again! OR, if you didn't get to Alpha or Beta, this'll be your first (and possibly only) Sky Island stage. Hidden Temple on the island in the mini lake, treasure hidden on both islands, and NE, NW, and SW of the hidden temple. More treasure next to the mountain SW of Rusheln. Bring Canopus to Montrosa to reunite with his sister for a sweet item. Again, if this is your first encounter with a map as such, if you win a battle and knock a unit over the side of the map, they die. If you kill the FLYING character in a unit who is over the abyss, after the battle ends, they will die. Solid times. Bring Tristran and Rauny to the party again, and after you win, if you have Norn in your party...Debonair is revealed! Oh man! You can have him join you, or you can just take his sword. But you totally want him! (MAKE SURE YOU HAVE ROOM.) Afterwards, return to the boss castle to be told about 3 Treasures. Find these, and return here with them later to get that GD TABLET we keep talking about. Only a matter of time now!! --We're halfway done with the game now, and there are only 3 special characters left (so you can just go NUTS), and one unsavory character for you, if you got BRUNHILD, but your Rep is in the dumper afterwards.. Beat Valley of Kastro during the Pro Bowl. I've purged my army of anyone under Lv8, and in most cases, Lv10. Tough to keep up! Still at the beginning of Week 3! I've been crazy busy. And busy being crazy. Damn, I wish that I could play this on the Gamepad! I guess next time I play, I'll actually use some strategy and try to spread out the characters from my two 'good units'. And maybe make a priest team for taking villages. But it's so NOT me!! Plus, I kind of wanted to shoot for the worst ending. Doing my typical checking of the notes right before I beat a stage. I was really hoping the awesome sounding assassin was a recruitable character. A kind of opposing option to the Paladin for us low rep players. Also I guess I missed the part where we were supposed to get the Brunhild. I'm guessing it's too late to get that now? Keep in mind I have zero rep.